The Tour de France pays a visit right past Le Chatox! 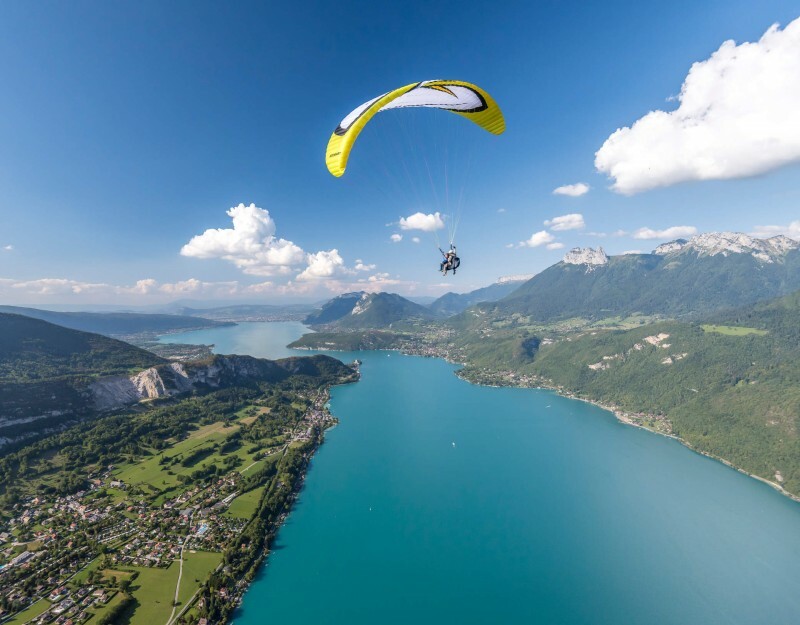 Les Bauges is a paradise for summer activities including cycling, walking, paragliding, canyoning, horse riding and cani-randonee which is being pulled by a dog in summer! For peace of mind see our 5 STAR Trip Advisor reviews here http://bit.ly/2d5eSb2 and Owners Direct for more pictures and reviews. In the evening after a hard days activities the night sky is amazing as is the morning bird watching and butterfly spotting. Summers are for hiking and cycling across valleys and mountains, looking out for alpine plants and wildlife and enjoying bird’s eye views of lakes, villages and farms. Favourite treks include the Revard plateau, Bellevaux valley and the area around La Féclaz, especially the climb to the scenic Nivolet Cross high above Chambéry and lunch at Chalet Sire afterwards ! Mountain biking, horse riding, paragliding are all popular in this area and the Forest Adventure is a must, with its own green, blue, red, and super black runs that take you on an exhilarating adventure through the trees on your mountain bike. The well-maintained, hilly roads with their stunning views make this area a favourite with cyclists of all ages and abilities. You will find many marked bike routes through the region and maps are available from the tourist office in Le Chatelard. This is superb walking country and with the Massif des Bauges on your doorstep there are walks and hiking trails to suit everyone and the tourist office stocks local walking maps with recommended trails. An original way of exploring the mountains is with a donkey, carrying your baggage or tired young children! This puts the mountains within easy reach for the whole family. 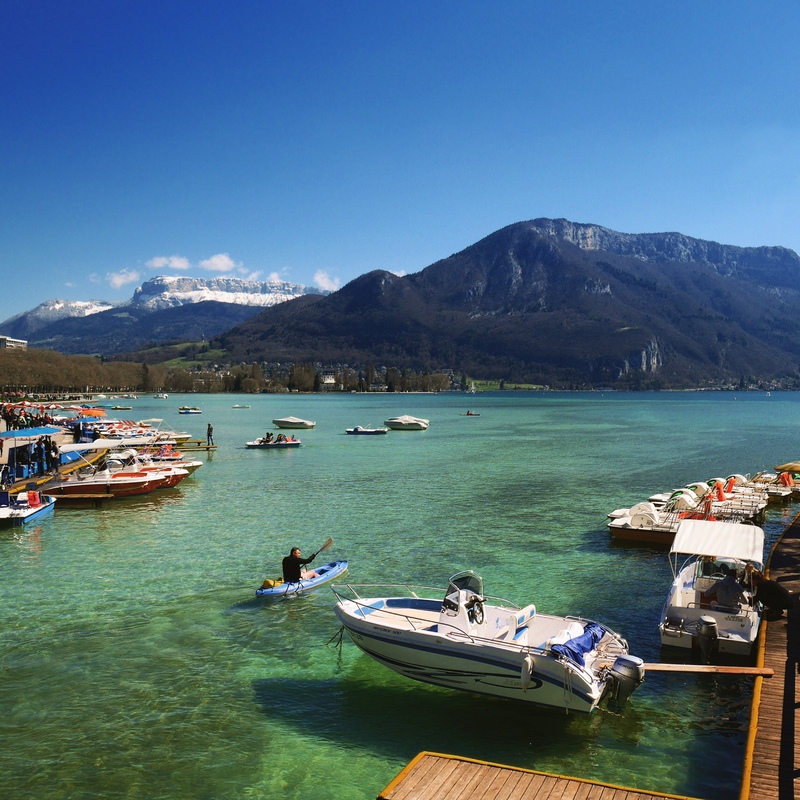 Annecy – the Venice of the Alps has it all…. Also, for adrenaline junkies you can try canyoning and parascending over the lakes or in the mountains. Annecy lake is the purest lake in Europe and has many beaches for swimming and sunbathing. Take a cruise boat excursion or for more active pursuits there are plenty of water sports and boat hire available. Te old town is romantic and buzzing. The markets are superb, restaurants fab and its where the French like to holiday ! 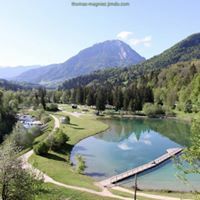 Also at Lescheraines nearby we have a fabulous family lake (left) just 10 mins away with a great restaurant, flumes for the kids so if you want a day to sunbathe and relax this will do nicely. 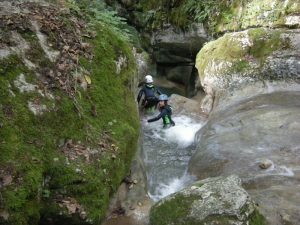 Thrill seekers should have a go at canyoning down waterfalls and plunging into rock poolsor Aquarando, a softer form of canyoning, which consists of hiking and swimming in a canyon or river. These can be arranged through Terres d’Altitude http://www.terres-altitude.com/ based conveniently in Le Chatelard. If you want to go further afield, the white water rafting in the Tarentaise Valley near Bourg Saint Maurice, (98km / 90mins), has been tried and tested and is an exhilarating, not to be missed experience. Mountain Climbing/Via Ferrata – Via Ferrata school is based at Aillion-Station (12km). For something different that children can enjoy, try climbing in the trees at Lescheraines (4km). Hang gliding and Paragliding. There are many take off points in the mountains and the nearest school is at La Compote (4km). Caving at nearby Margeriaz (16km), explore the fantastic pothole and glacier trail. A visit to Annecy in the summer or at any time of the year is a must! This beautiful medieval town is known as the Venice of the Alps and is built over a series of canals. There are many excellent restaurants to try in the town or around the lake and the market days are superb. Strolling around Annecy market is recommended and full of surprises. 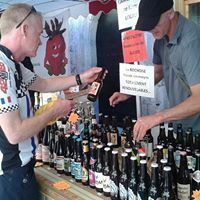 Last year a craft beer stall appeared with my fav – Punk IPA from Scotland ! Aix les Bains (33km) is a spa town on the edge of Lac du Bourget. Mont Revard provides a scenic backdrop to the town. Pamper yourself in one of the modern thermal treatment centres, Chevalley thermal baths – 18 euro for a day pass: treatments extra. Other attractions include an 18 hole golf course, cruises on the lake, balneotherapy, the Casino, racecourse and not forgetting the opportunity for retail therapy. Aix-les-Bains also has excellent beaches along its shore line for swimming and sunbathing. These are just some of the things to do, we have more information and recommendations available at the chalet and we also recommend you speak to the tourist information office in Le Chatelard. They speak good English and will be happy to help.